Lots of infertile patients take supplements in the hope that these will increase their chances of getting pregnant . Lots of doctors also prescribe these supplements, for many reasons. Some are designed to improve egg quality; others to improve endometrial receptivity; while others are supposed to boost sperm quality. Most of these supplements are “natural products” which is why doctors are quite liberal about prescribing them . Also, the FDA does not need the manufacturer of these nutraceuticals and supplements to prove their efficacy. Most doctors and patients believe that since these are natural herbs, they are unlikely to do much harm, so why not go ahead and prescribe them. At least the patient is happy that “something is being done”, even if there is no proof that they help. The problem is that some of these are extremely expensive . While they many not cost much on a daily basis, since the “course of treatment” lasts for many months, the costs add up very quickly ! Even worse, practically none of them have been proven to work. 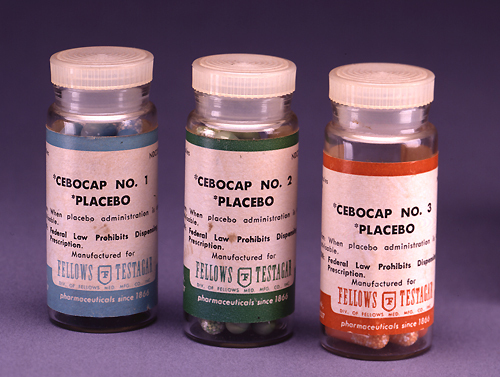 While it’s true that some patients will get pregnant after taking the supplement, this could very well be a placebo effect – and prescribing expensive placebos is hardly good medial practice ! No controlled clinical trials have ever been carried out to check the efficacy of these supplements . They are actively promoted by flashy websites , which do a great job of marketing by playing on the emotions of infertile couples. Many articulate women on bulletin boards will inadvertently promote these supplements by describing how they got pregnant after taking them. The problem is that one swallow doesn't make a summer – and just because a supplement works for someone doesn't mean it will work for everyone. The problem is that when women take supplements , they don't take just one – they take an entire box full, to cover all their bases ! It’s impossible to make out what worked and why, which means we do not learn anything useful from all these N=1 clinical trials women are carrying out on themselves. The big danger is that anything which has helpful effects can also have harmful effects ! This means that these supplements can actually reduce a patient's fertility , rather than increase it . We are seeing this in our practice. Thus, myoinositol is being actively promoted for treating patients with PCOD, where it has been shown to be effective. However, because it is being marketed under clever brand names such as Oosure, many doctors are mindlessly prescribing it for all patients who have ovulatory dysfunction – including those with poor ovarian reserve ! If doctors are confused as to which supplements to prescribe when, you can imagine the plight of the poor patients ! Patients get confused. When the doctor prescribes them with supplements such as DHEA to be taken for 6- 12 weeks prior to starting their IVF cycle in order to improve their ovarian reserve , they feel that if these supplements can improve IVF success rates, they may be able to help them to conceive naturally as well. They end up wasting a lot of time and money taking these supplements, and then get fed up and frustrated when they do not work. This causes them to lose precious time – and the risk is that the false hope these supplements create may actually end up reducing the patient’s chances of having a baby. Confused as to whether your supplements are helping you or harming you ? Please send me your medical details by filling in the form at http://www.drmalpani.com/free-second-opinion so I can guide you sensibly ? For the past 20 years pregnant women with an increased risk of developing blood clots have often been prescribed a common blood thinner to prevent serious complications from the clots, including preeclampsia (high blood pressure in the mother), disruption of the placenta, low birth weight and loss of the fetus. The largest randomized clinical trial to examine the therapy finds that the drug—low-molecular-weight heparin—is not effective. The find, reported in The Lancet, is the result of a dozen years of analysis of patients across five countries. Doctors are very happy to overtreat - and here's an excellent example of how they often end up doing harm rather than good. 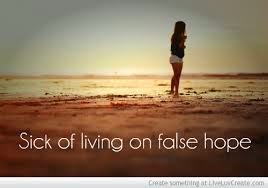 Lots of IVF specialists have also started treating patients who have failed IVF cycles with LMWH ( low molecular weight heparin), claiming that this helps to improve the chances of implantation by improving blood flow to the uterus ( presumably by reducing the clotting tendency of the blood). Sadly, this has never been proven, and is used as empiric therapy, only because it makes logical sense. The injections are painful - and expensive , and are best avoided , in my opinion. Most infertile patients know that IVF is the treatment option which maximizes their chances of getting pregnant . However, the problem seems to be that the pendulum has swung in the other direction , and lots of patients are being advised to do IVF, even though they do not need it. The truth is that there are many simpler treatment options available to treat infertility, and not every infertile couple needs IVF ! 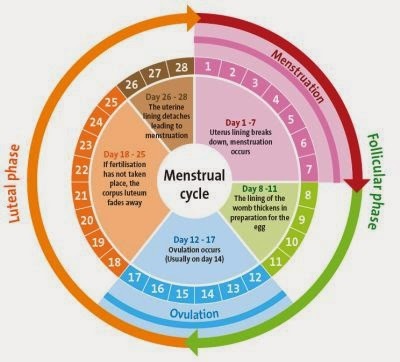 Thus, young patients with PCOD can easily be treated with medicines for ovulation induction. This is much less expensive than doing IVF – and it’s much more fun making babies in the bedroom than going to an IVF clinic. It’s important that patients explore these simpler treatment options before moving on to IVF , which can be expensive . 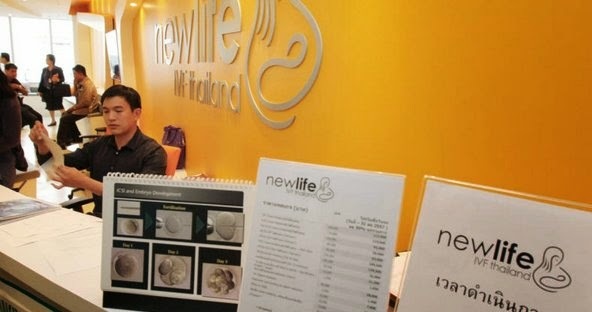 The other group of patients who should not be doing IVF are the ones for whom the chances of success are extremely low . For these, treatment may be futile. Examples would include patients with Asherman syndrome , where the uterus has been completely damaged ; or patients with ovarian failure, who will not be able to grow eggs, no matter what we do. These can be difficult patients to tackle . They are extremely desperate to have a baby , and are not willing to consider third-party options, such as donor eggs or surrogacy . So what is the poor doctor supposed to do ? 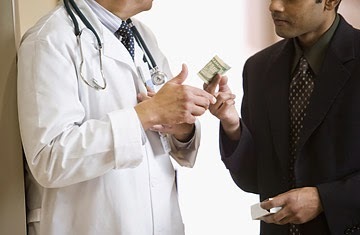 A good doctor will counsel patients that their chances of success are extremely poor. After doing so, if the patient has realistic expectations and still insists on going ahead , I think it's fine to do so, since the patient has provided informed consent . However, the danger is that often doctors are not very forthright, and they will hide this critical information from the patient . Some will go ahead with IVF treatment and transfer embryos into a uterus which such a poor lining, that the embryos do not have even the slightest chance of implanting. Some IVF clinics will even transfer embryos which have arrested in the lab into the uterus, and thus fool the patient that they have received IVF treatment ! Others will go ahead with the treatment cycle, and then tell the patient at the last minute that since your embryos are of very poor quality, we need to use donor embryos in order to achieve a pregnancy. Because patients are so desperate at that point , they will go ahead and do whatever their doctor tells them to do, but this often results in long term unhappiness for the couple, who wasn’t mentally prepared to use donor embryos, and they may reject the child. This is the commonest question the IVF specialist is asked – especially by someone who has failed an IVF cycle. The trouble is that these figures apply to groups of women . How can we intelligently extrapolate these to the individual patient sitting in front of you and asking the question? Thus, not all 40-year olds are the same. Some have good ovarian reserve and produce excellent quality embryos; while others make embryos which are fragmented and which arrest in the lab. It’s not fair to lump apples and oranges together when providing an answer, because it’s likely to be inaccurate and unreliable. The truthful answer is more nuanced. It is – It depends upon how many good quality embryos you make – which in turn depends upon the egg quality. Now while we do try to judge a patient’s ovarian reserve by checking her antral follicle count and measuring her AMH levels, these are fairly crude tests, with limited predictive ability. The final proof of the pudding is in the eating – and its’ only when we actually superovulate her during an IVF cycle will be know how good her ovarian response is. While the pre-IVF tests will give us some idea, these tests have limitations, and it’s impossible to predict how a biological system will behave. The final proof of the pudding is in the eating – and finally it’s the number of good-quality embryos we are able to make which determine the chances of IVF success. However, patients are not happy with this answer, even though it is accurate. They want a specific number, and would prefer a doctor who tells them - Based on my extensive experience , your chances of getting pregnant in my clinic are better than 56% ! This is a load of rubbish, but patients love this kind of pseudo-accuracy . These doctors are very good at massaging figures , that selectively present the success rate in patients who have the best prognosis. Because patients are not sophisticated enough to read between the lines, they are suitably impressed and are happy to sign up. Patients need to learn to ask better questions. Rather than push doctors to provide a figure ( which is often fabricated), the question they need to answer for themselves is – what is the magic number at which I will decide not to go ahead with the IVF cycle. Let me explain. Suppose the doctor says your chances are 30% or 40%, if the patient has decided she will go ahead with the treatment if the success rate is better than 20% per cycle, then the actual number the doctor quotes is unimportant, because it will not affect her decision. Of course, she may want to select a clinic which has a higher success rate overall , and these figures ( which are statistical averages for all the patients the clinic treats, and do not apply to individuals) are available online. On the other hand, if she feels that if her chances of success are less than 10%, then she would rather not go ahead with the treatment cycle, because the slim chances do not justify her spending so much time, money and energy, then this is the key number she should focus on. This means that the patient should then decide what particular success rate will allow her to make a go/no go decision ; and then share this information with the doctor,. so that he can answer the question a little more intelligently and honestly. Remember that it’s just a question of statistics - it's also question of the individual patient’s personal preferences. This is where both the clinic's overall success and the patient's decision-making process overlap. Thus , we will have some patients where even if their chances of success are less than 5%, they are happy to go ahead, because 5% is better than zero ! They want to give it their best shot, because they never want to regret afterwards that they didn’t try. However , this is the kind of soul-searching the patient needs to do , even before asking the doctor the question - What are my chances of getting pregnant ? Need help in getting pregnant ? Please send me your medical details by filling in the form at http://www.drmalpani.com/free-second-opinion so I can guide you sensibly ? The general perception in society seems to be that doctors charge too much . They are seen to be greedy; loaded with money ; drive around in a Mercedes ; and play golf on weekends. They are perceived as being crooked because they make a lot of money on the side by : cheating health insurers by padding hospital bills; taking kickbacks from pharmaceutical companies for prescribing their brands; and from diagnostic centers for referring patients for expensive scans and tests which are unnecessary . Ironically, people don't mind splurging money on luxuries ( such as going to dinner at a 5-star hotel or going for a holiday abroad), because they value the experience this provides them. However, they grudge having to spend money on their medical care. They feel this is money which was wasted , because all the doctor does is get you back to normal – it doesn’t leave you any better off than you were ! 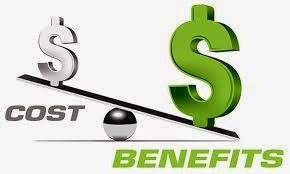 This is why going to a doctor is seen as a wasteful expense, rather than as a positive investment in your health. When you are ill, you are willing to pay the doctor whatever he wants. When you recover, then you grudge him his fees ! This reminds me of the joke of the businessman and the doctor. Springing up, the doctor skillfully removed the bone and saved his life. Be that as it may, how much should a doctor charge ? This is a difficult question to answer, so let’s look at what our wise judiciary has to say about how much a human life is worth. If a doctor is negligent, and a patient dies as a result of this, the court is willing to award damages in crores of rupees. Using the same yardstick, then the doctor saves the patient’s life, then why shouldn’t he charge 0.1% of the value of the life saved ? I am sure most doctors would be very happy with this ! 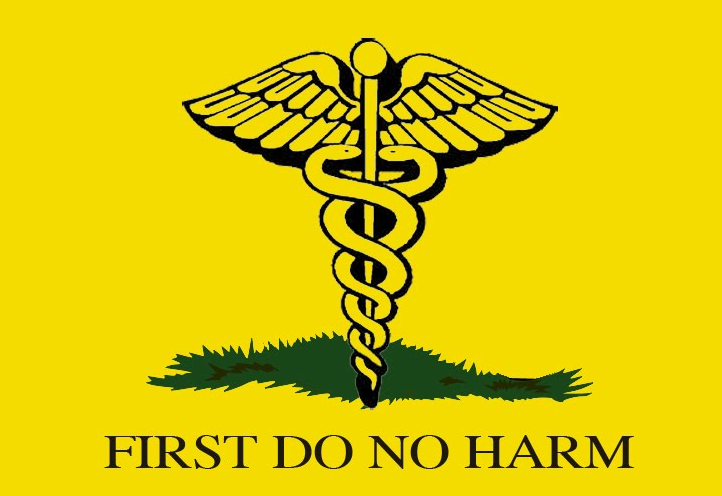 We need to be consistent, and it’s unfair to pay doctors so little when they do their job well; and to then punish them so severely when they don’t ! Pediatricians would easily become the richest specialists, because of the number of quality life-years they add to a child’s life. IVF treatment is usually fairly straightforward . Patients are usually young and healthy, and the treatment usually goes smoothly as planned. This is why most IVF cycles are uneventful without any problems at all . However, sometimes there can be emergencies which patients need to be aware of. The commonest medical emergency is ovarian hyperstimulation syndrome or OHSS. This occurs when the patient grows too many follicles, and if the doctor doesn’t know how to manage this problem , patients can end up with severe hyperstimulation which can be life-threatening . The good news is that hyperstimulation is a preventable problem , and can also be treated effectively by a knowledgeable doctor. We have lots of tools and techniques to prevent the problem , and to ensure that it doesn't become severe. The other medical emergency IVF clinics have to deal with is that of ectopic pregnancy . 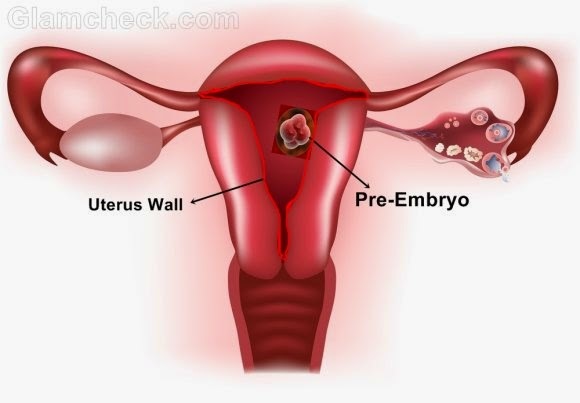 Even though we transfer the embryos into the uterus in an IVF cycle, sometimes the embryos move out of the uterus in a a retrograde fashion into the fallopian tube, resulting in an ectopic pregnancy . In a good clinic, hCG levels are actively monitored routinely in order to make sure that the pregnancy is in the right location , If an ectopic is diagnosed in a timely fashion , it's very easy to treat this medically by giving a methotrexate injection which can kill the ectopic pregnancy. 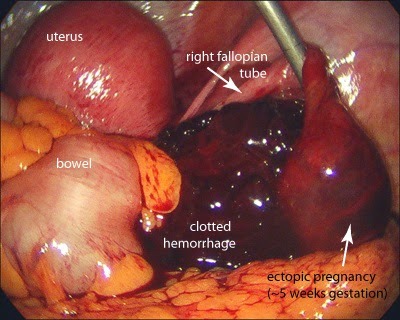 However , if the diagnosis is delayed or missed, then an ectopic pregnancy can rupture and be life-threatening. In the past, a high order multiple pregnancy was a common complication of IVF because doctors transferred too many embryos in order to inflate their success rates. However, by restricting the number of embryos we transfer, this can be prevented. There can also be complications during the egg collection, such as vaginal bleeding or infection. However, in a good clinic, these are very rare. One of the vexing emergencies is that of a difficult embryo transfer , where the doctor has technical difficulty in depositing the embryos through the cervix into the uterus. This may be because of cervical stenosis; or a sharply angulated cervical canal. This can be extremely distressing for both doctor and patient, because a difficult embryo transfer does reduce the success rates. This is why many clinics will routinely do a dummy embryo transfer to prevent this situation from arising. Finally, the commonest emergencies are the emotional ones , where patients break down when they find their beta hCG is negative and the IVF cycle has failed. This is best managed by an empathetic doctor,. who can provide patients with a shoulder to cry on , and explain to them that it's more important that they focus on the long-term perspective , rather than get disheartened just because one cycle has failed. Need to learn more about how to prevent complications in your IVF cycle ? Please send me your medical details by filling in the form at http://www.drmalpani.com/free-second-opinion so I can guide you sensibly ? The reason is remarkably simple. It's because we don't have any assistants. This means we have to provide hands on care to all our patients ourselves ! I answer all my emails myself - and patients are confident that they can get in touch with me directly, rather than having to go through assistants and juniors. Most patients in other IVF clinics find it frustrating that they have to deal with clueless juniors and inexperienced assistants. The senior doctor is often unavailable or inaccessible. This is never an issue at Malpani Infertility Clinic where we take care of all our patients personally - we don't delegate your care to anyone else ! Many doctors and gynecologists misdiagnose and mismanage patients with irregular cycles. Most of them seem to automatically jump to the conclusion that any young patient with irregular cycle has PCOD . While it is true that the commonest cause of anovulation is polycystic ovarian disease , there are some unfortunate young women whose irregular cycles are because of poor ovarian reserve. While gynecologists will think of this diagnosis when they deal with older women, they fail to consider this possibility in younger women. The problem is that once the woman has been labeled as having PCOD, doctors refuse to think about alterative possibilities. This is heartbreaking, because it’s actually quite easy to differentiate between the two. Women with PCOD have large ovaries with increased central stroma and with multiple small cysts on ultrasound scan. Women with poor ovarian reserve can also have cysts, but these are fewer in number and the ovarian stroma is not increased. However, unless the ultrasound scan is done by a doctor who is careful about continuing the number of antral follicles, it’s easy to jump to the wrong diagnosis. Sadly, when most gynecologists see ovarian cysts being reported in a young patient with irregular cycles, they assume this means she has PCOD. It’s also easy to differentiate between the two by doing blood tests to check levels of the reproductive hormones, FSH, LH and AMH. PCOD patients have a high AMH level; and their LH:FSH ratio is increased, with the LH typically being twice as much as the FSH level. Patients with poor ovarian reserve, by contrast, have low AMH levels, and a high FSH:LH ratio. The irony is that once the doctor has a preconceived notion that this woman has PCO , it’s hard for her to change this diagnostic label, and she receives the wrong treatment for many years, until she gets a second opinion. The wrong treatment ends up wasting a lot of time and money ; and when the patient finally realizes that they were misdiagnosed , they are angry and resentful and can't understand why so many different doctors ( including the sonographers ) couldn’t make the right diagnosis. Even worse, many of these patients are then “ treated “ with ovarian drilling. This actually reduces their ovarian reserve even more, which means the chances of these patients getting pregnant even after IVF drop dramatically ! diagnosis , you are not likely to get the right treatment. Please send me your medical details by filling in the form at http://www.drmalpani.com/free-second-opinion so I can guide you sensibly! I often see patients who do not require any medical intervention at all. For example, I just saw a couple where the wife is 26 years old, the husband is 30, and even though they have been married for 3 years, they have been trying to have a baby only for the last four months . They are now under a bit of social pressure to start their family, but since prima facie everything seems to be five, it’s hard for me to justify doing tests for them, since they are not infertile. The probability of the test results coming back as normal is extremely high , and their chances of making a baby on their own in their bedroom without any testing or treatment is extremely good. This is the kind of patient who just needs reassurance and does not need any testing. When I tell them to just continue trying in their bedroom, and not to waste their money, some couples are mature enough to realise that I am giving them sensible advise – and that talking a “hands-off” approach is in their best interests. I just need to explain to them that human reproduction is inefficient; that it can take time to make a baby in the bedroom ; and I teach them about their fertile time. Many are willing to wait and see what happens; and are grateful that I have not wasted their money on unnecessary testing and treatment. These patients just need reassurance , and for many of them, verbal reassurance from a senior specialist is good enough. However, some patients are not satisfied with this. They want to know how I can be so confident that they do not have a medical problem. The truth is that I cannot, and if my verbal reassurance is not enough for them , then I order the basic fertility tests for them, to provide them with more tangible reassurance that everything is fine ! For this group of patients, I am forced to do the testing , because they need to see some concrete proof in the form of medical test results and reports that everything is in fact fine. The last few consultations I have done have been what I call “ do-nothing consultations “. This is when I tell the patient that they do not need my help in order to get pregnant ; and that their best course of action would be continue trying in their bedroom. This might seem to be very unusual advice coming from an IVF specialist . Because I am a senior specialist, most patients come to me for a second ( and often third ) opinion , in order to have their tests and investigations reviewed by an expert. Often they have been advised surgery by a gynecologist or infertile specialist, and they need to make sure they are getting the right advise. The first patient was woman who wasn't trying to get pregnant , but had done an ultrasound scan ( as part of a super-deluxe corporate health check up scheme which her company had paid for, since she was a senior manager). This showed she had a 2 cm cyst, and her doctor had advised her that this could possibly be endometriosis , and that she needed a laparoscopy in order to confirm the diagnosis; and treat it. She had scared her that if it was left alone, it could rupture or spread and cause her to become infertile in the future. The second patient had gone to her gynecologist because she was having a lot of vaginal discharge . Her doctor suspected “ PID” or pelvic inflammatory disease, ( a wastepaper basket diagnosis, which means precious little) and had asked her to do a pelvic scan to “diagnose” this. The scan showed she had a little bit of fluid in the pelvis. Now it’s quite common to find fluid even in normal women, but her doctor felt that the presence of this confirmed her diagnosis. She then did a blood test for TB ( an extremely inaccurate and unreliable test which checks for TB IgG and IgM antibodies) and when this came back as positive, she was triumphant that her clinical suspicion had been vindicated, labeled her as having “silent genital TB” and promptly put her on a 6-month course of anti-TB medicines ! The third patient was a 26 year old, who had gone for prepregnancy counseling to make sure she was normal. Her doctor picked up a small 5mm uterine polyp on the vaginal ultrasound scan can advised her that she needed to do an operative hysteroscopy to remove it. She warned her that the polyp would prevent her from getting pregnant – and that even if she did manage to conceive, the polyp would cause a miscarriage. 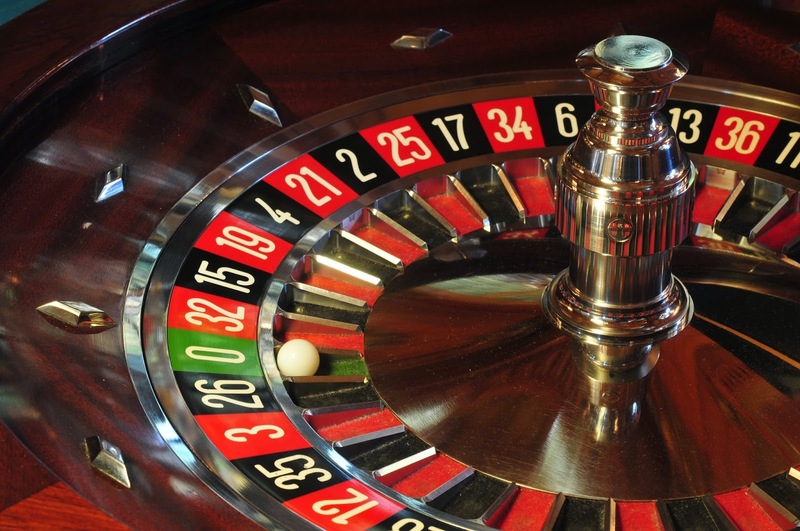 Patients need to understand that doctors are not fortune-tellers . They can't always predict what's going happen ; and often have a bias towards labeling everything they see which is out of the ordinary as being “abnormal” and needing intervention, because they have a bias for looking for problems and “ fixing “ these. 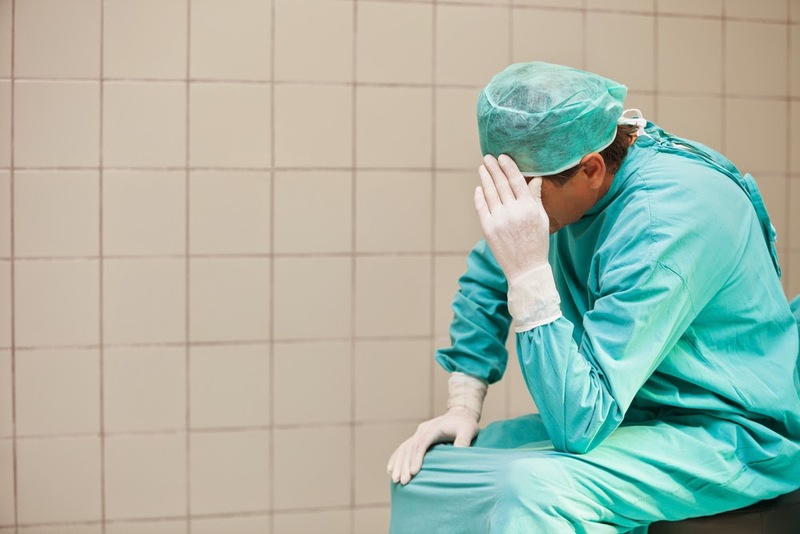 They are worried that if they ignore an abnormal finding and this later turns out to be a serious problem, the patient may sue them for negligence. This is why they prefer practicing defensive medicine. They will never get sued for overtreating ! Also, it’s much easier to just “treat” every abnormality. This is much more profitable ( because doctors get paid for performing interventions); and ironically, this takes less time. If you tell a patient they can ignore the abnormality, it takes much longer to counsel the patient as to why masterly inactivity is the best course of action. This is because the first question patients will ask is - How could that be possible ? After all, all the other doctors advised surgery ! How can you be so sure you are correct and they are wrong ? Isn’t it better to be safe rather than sorry ? I have to explain to the patient that while it is possible that a small polyp on the ultrasound scan may reduce fertility, it is much more likely that this is an innocent bystander which is not causing any mischief and can be left alone. I have to explain that polyps are quite common in young women and many fertile women also have small polyps ( but are blissfully unaware they have these because they have never needed to get an ultrasound scan done !) In fact, sometimes over-enthusiastic surgery can cause harm by causing scarring and adhesions. I also explain that if she fails to get pregnant in a few months , then we might consider intervention after an appropriate period of time . Suppose the patient with the polyp comes back after six months, saying I am still not pregnant, and then she gets pregnant after removing the polyp, she is likely to resent the fact that i did nothing for six months, and wasted six months of her life in watchful waiting. Similarly, if the small ovarian cyst does not resolve but instead becomes bigger, she will think I was a bad doctor because I chose to ignore the“ abnormality” . The problem is much worse when you consider genital TB. Most gynecologists in India seem to think that tubercle bacilli are lurking in the pelvis of every Indian woman! The variety of tests done to diagnose“ silent TB “ in India are mind-boggling ! These include: blood tests for TB IgG and IgM; TB GOLD blood tests; tests for checking interferon levels; PCR tests – the list seems to be endless ! Most of these tests are not available anywhere else in the world, because they are unreliable and untrustworthy. However, gynecologists merrily order panels of these tests left, right and center. Many of them come back as positive, and the poor patient ( who does not have TB at all) is then subjected to 9 months of “treatment” with toxic antiTB antibiotics. Not only do these have side effects, they also waste precious time, thus reducing her fertility. It takes a long time to explain the concept of “false positives” to patients – and why nothing needs to be done even if the test is reported as being “abnormal”. Patients are understandably reluctant to not to anything. They are worried that their “latent” TB is like a time bomb, which will spread and cause further damage if it is not treated promptly ! They also refuse to believe me when I tell them the tests are not reliable. After all, isn’t the fact that the doctor ordered the test and that it was done from a “reliable “ lab conclusive proof that the test is valid ? The problem is that I am not a fortune –teller – but then neither is any other doctor ! All I can do is counsel the patient, and explain to them why doing nothing is often far better than doing something ! Not all patients are mature enough to understand this is approach , but masterly inactivity is an absolutely appropriate course of medical action , even though this is something which only senior doctors have the wisdom and confidence to advice . This is why it is especially gratifying to see the relieved smile in the face of the patient when I tell her I don’t need to do anything at all for her. She is very happy that she doesn't need to go through even more tests and investigations in order to chase up what is most probably a red herring. Getting this kind of reassurance from a senior infertility specialist gives them a lot of reassurance that all is well. When I tell them that they can get pregnant in their own bedroom, and when they prove me right, the box of chocolates they gift me is the best reward which any doctor can get ! Why do doctors prescribe a branded drug when its generic variant is easily available at a fraction of the price ? NDTV's hidden camera expose proves that doctors blatantly violate this guideline in exchange for kickbacks from pharmaceutical firms. While sting operations like these are useful in highlighting the black sheep in the medical profession, they can backfire as well. All this bad press means that even good doctors feel pressurised . They feel unappreciated and unloved. Rather than treat their patients with care, they will start treating them as customers, leading to a worsening of a negative vicious cycle. Doctors will defend themselves by practising defensive medicine - and this will lead to costs further spiralling out of control. I recently got this email from a patient. The 2ww takes a long time, but there's no point in letting your mind play games with you ! The trouble is that women are unsure, they will turn to the internet to find out answers to their questions. 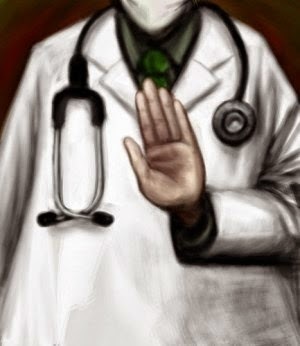 They are scared to ask their doctor , because they think their questions are "stupid" and they don't want to waste their doctor's precious time. The trouble is that there is so much rubbish written online by poorly informed patients, that old wives tales and myths and misconceptions are rampant. Sadly, the internet which could potentially be a powerful tool to educate and inform patients and reduce their worries, ends up causing a lot of harm by spreading misinformation. Because it's not possible to regulate the internet, this is why patients need to spend time and energy in educating themselves, so they don't get misled by wrong information. Confused ? Not sure what to believe ? Please send me your medical details by filling in the form at http://www.drmalpani.com/free-second-opinion so I can guide you sensibly ?